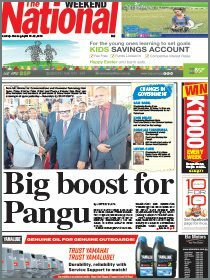 PRIME Minister Peter O’Neill is expected to launch the country’s first Extractive Industries Transparency Report today. PNG EITI (Extractive Industries Transparency Initiative) Secretariat head Lucas Alkan said the report contained how much had been paid by mineral and petroleum companies in 2013 to the Government and how much the Government received for that financial year. He said it was one of the requirements for the country as a candidate to the EITI Group of countries leading to it becoming a fully pledged member country. “PNG signed the international standard for promoting transparency and accountability in the oil, gas and mineral sectors known as the EITI in March 2014,” Alkan said. He said the EITI was a global standard to promote open and accountable management of natural resources in the extractive sector. “It seeks to strengthen company and government systems, informed public debate and enhance trust,” he said. “In each implementing country this is supported by a coalition of governments, companies and civil societies working together. “PNG is one of the rich countries in terms of gold, copper, oil and gas and other minerals. “The expectation is that, if the revenues generated from the extraction of these natural resources are prudently managed and spent, it can improve and improve the living standard of the people. 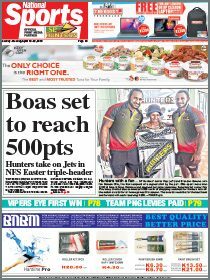 He said the question was how PNG addressed the issues of mismanagement and minimised the perception of corruption in the industries. He said EITI provided one platform where these can be addressed through publishing of a report.